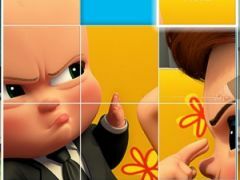 You want to know more about Boss Baby Coloring Book? 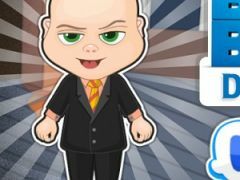 A new game within the Boss Baby category has been uploaded today on gamesonlinekids.com, and we truly hope that you're willing to join some of world's most famous baby within the cartoon movie series, so, let's have some fun today with our beloved Boss Baby. 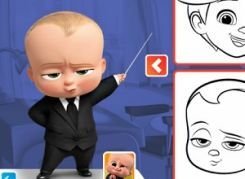 A really beautiful new coloring book within Boss Baby's category of games is expecting you to join today, and if you're such big fans of the Boss Baby movie, then you should absolutely play Boss Baby Coloring Book, a wonderful creative game where you'll get to color such beautiful images of the best cartoon characters from the Boss Baby movie. We would like to invite all of Boss Baby's fans to join him today in a colorful and creative game, which will truly develop your imagination, and we know that you're going to do the best job playing Boss Baby Coloring Book. What you'l have to do, in order to play this game Boss Baby Coloring Book, is to first choose the image of the character you love the most, and then start using these great crayons and colors, in order to color the blank image. Enjoy another fun coloring game within the Boss Baby category! You want to find more about Boss Baby Coloring Book? The Boss Baby Coloring Book game has part from Boss Baby Games. This game is played by 1158 times, have 40 votes (30 likes and 10 dislikes) and his added 01 September 2017. 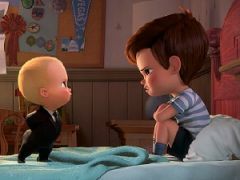 If you want, you can play more games from Boss Baby Games.